Jazz offers us plenty to read, as well as to listen to. Our music director at Sistas’ Place, Ahmed Abdullah, has a must-read essay on Jazz: A Music of the Spirit (Monique Ngozi Nri and Louis Reyes Rivera contributed also). Mr. Abdullah defines the type of jazz that is played at Sistas’ Place as “Jazz: A Music of the Spirit,” just like Randy Weston determined that his music should be called “African Rhythms.” Mr. Abdullah further illustrates “A Music of the Spirit” by showing how it was exemplified by Duke Ellington, Sun Ra, John Coltrane, Mary Lou Williams, Betty Carter and Nina Simone. 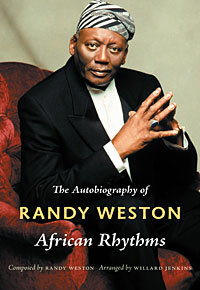 Bless yourself and read Jazz: A Music of the Spirit. [The word] Jazz doesn’t really give the full story. What have African people contributed to the U.S.? America is so young, compared to most countries on the planet. 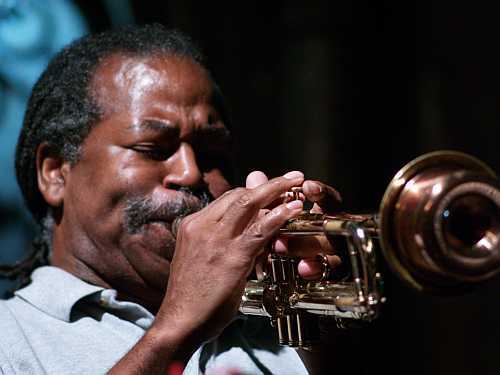 So what we call jazz in African-Americans’ contribution to the United States. So if you look at it that way, it gives you the understanding, also the genius and the spirituality of all these people. How do they do what they do? How do they make music out of a broom, out of a bottle? In Africa, people make music out of anything. For them, music is the voice of the creator… I want everybody to understand more about what African people have contributed to America. I think if they understand that, we’d have a different approach of who we are, what we did, despite all the slavery and the racism. But all the beauty that we gave, it’s amazing. Read the entire Extended Interview. 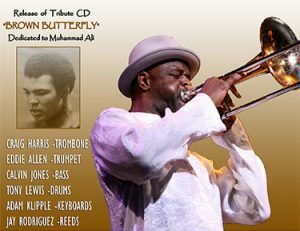 Craig Harris’ new Tribute CD, Brown Butterfly, is dedicated to Muhammad Ali. Brown Butterfly is a timeless soundtrack to Muhammad Ali’s divine, eternal dance–and the liner notes soar also. Read the liner notes. Several years ago as part of a jazz oral history project exploring the rich history of the music in Brooklyn’s historic Bedford-Stuyvesant community, I [Roger Wareham] conducted a series of oral history interviews with friend and colleague Jennifer Scott for the Weeksville Heritage Center. For those not familiar with Weeksville it is the oldest African American community in Brooklyn. 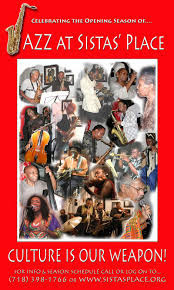 Three of those interviews focused on the vibrant alternative space for jazz known as Sista’s Place, located at 456 Nostrand Avenue at the corner of Jefferson Avenue. Interviewees include Ahmed Abdullah, Roger Wareham and Viola Plummer.